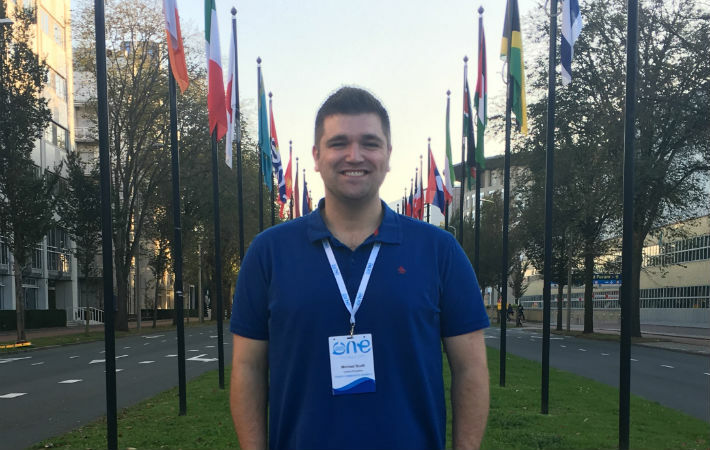 ICAS One Young CA 2018 Michael Scott shares his highlights from the One Young World Summit in The Hague and explains the lessons he brought home. 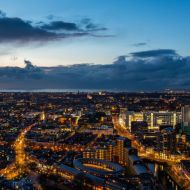 The Hague, renowned as the International Capital of Peace and Justice, provided an apt backdrop for the One Young World Summit 2018. In the biggest delegation the Summit has ever hosted, 1,878 young people from 193 countries came together with the common agenda of ‘Building a Better World’. The four-day event also welcomed 160 speakers and involved inspiring seminars, thought-provoking workshops and stimulating networking breaks. At the Summit we remembered the late Kofi Annan, who had worked with One Young World since 2010. The former UN Secretary General's name is synonymous with peace and justice and the impassioned tributes delivered at the Summit were moving. His message, encouraging a collective effort of tiny changes made by as many people as possible to achieve sustainable solutions to social issues, has had a profound effect on me. I’ve always believed that each one of us should contribute to our communities in small ways. When we embed these actions into our daily, weekly and monthly routines, we turn social responsibility into habit. CAs hold a well-recognised and highly respected position in the business environment. We should use this influence as a platform to encourage social awareness and responsibility among business leaders and other professionals. The key theme of One Young World was our ability to shape our own future. Pauline Krikke, Mayor of The Hague, encouraged us to have the imagination to think beyond present limitations; to have the will and enthusiasm to work together and to find the courage to take a different course. Professor Muhammad Yunus echoed this message, simply stating that: "old roads lead to old destinations". This generation, with the power of rapidly developing technology, is primed to tackle social issues with innovative and creative solutions. These inventive skills are already utilised in business, industry, art, leisure and more and should naturally extend to societal issues. Generations before us have made wrong decisions and failed, this gives us a licence to experiment with solutions. We should not be afraid to break trends, try alternative solutions and create a course to a better future. "When ethics is concerned, silence is never an option. You must always speak up and act!" These were the powerful words of ‪Emmanuel Lulin, Senior Vice President & Chief Ethics Officer at L'Oréal. Many people put convenience over ethics, often taking the easier option rather than dealing with difficult and moral decisions. Those in power need to create a purpose and use business as a force for good. CAs are a force for good in shaping the cultures and values of business. Attending One Young World as a delegate of an institute that puts ethics and integrity at the heart of its professional responsibilities, I proudly stood in agreement. 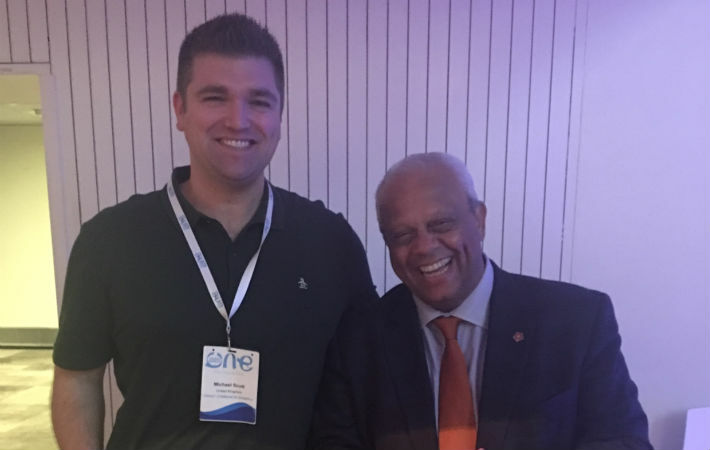 Emmanuel's message echoed the Power of One initiative's encouragement towards moral courage and placing ethical leadership at the core of business practices, values and culture. CAs, both in the organisations in which we work and the communities in which we live, demonstrate a behaviour that is enriched with high ethical values. By integrating professional ethics into our practise, CAs are a force for good in shaping the cultures and values of business. "The future generations will judge us for our actions, not our ideas." Ben van Beurden, CEO of Royal Dutch Shell, challenged us to develop our opinions into solutions. It is both an individual’s actions and inaction that define their values and beliefs, not what they say. Your actions are fundamental. ‘Likes’, ‘retweets’ and ‘shares’ may generate limited short-term awareness but by no means provide long-term sustainable solutions to the social issues you care about. Start conversations and talk about those issues, discuss and develop solutions, believe in your ideas and, crucially, put them into action. Your inaction is telling. By not changing our routine and habits, regardless of what we may say, we are expressing our true values and beliefs. I believed that I cared about the environment, but I was made aware of the amount of single-use plastic products I was purchasing. I was voting against environmental issues through thoughtless convenience of my everyday routine. We must be conscious of the ethical supply chain and value chain economy. Take action, change your habits and make a difference. As Tidjane Thiam, CEO of Credit Suisse, questioned: "What do you want your legacy to be?" The United Nation’s Sustainable Development Goals (SDGs) were signed by the 193 UN member states as part of the 2030 Agenda for Sustainable Development in 2015. All 17 SDGs interconnect with one another and form the basis for achieving a more sustainable future, leaving no one behind. It is essential that we achieve each goal by 2030. Adopt a SDG as your own and contribute towards the solution with your own small actions. Each of the SGDs are summarised through facts, figures and targets. I encourage each one of you to find an SDG you feel passionate about, adopt it as your own and contribute towards the solution with your own small actions. Become a positive role model, influence others and create a legacy to be proud of. Travelling to One Young World alone was a daunting prospect, but I was eager to embrace the opportunity that was being offered. I quickly met people from all over the world: Oman, Singapore, Palau, Comoros, India, Saudi Arabia, Australia, New Zealand, from Europe, South America and more. Each individual brought with them an interesting and passionate story. The variety of perspectives, ideas and opinions on subjects discussed around the table was both fascinating and thought-provoking. There are ordinary people from all across the world implementing and developing extraordinary initiatives. When there is a call to build walls and create division, instead we must build bridges. 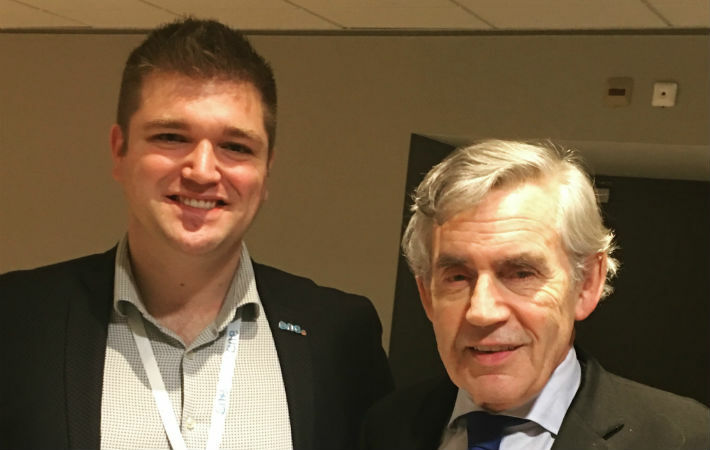 Already aware of the importance of networking at a local business level, I experienced the vast learning and development that can be achieved through effective networking. I look forward to collaborating with these individuals who I made meaningful connections with in the future. No country is mono-diverse. We must celebrate multicultural diversity - it is something we can benefit from immensely. Meeting individuals from different countries, backgrounds, cultures, religions and races gives us the opportunity to embrace, develop, learn and accept. When there is a call to build walls and create division, instead we must build bridges, connections and friendships. Together is the only way we can move forward.